Because passionate employees operate our firm since 1960, you can expect our team to exceed your expectations. Our company is best known for giving very professional service and leaving the work sites cleaner than they found them. To schedule an appointment with our technicians for a problem with your garage door in Elizabethtown, give us a call at 717-767-1419. Situated in scenic northwestern Lancaster County and with a population close to 12,000 people, Elizabethtown is a very warm atmosphere city to grow up in. The seasons in this area are all very distinct: very cold winters, but mild fall and spring, and hot summers. If your garage door is worn out due to the temperature changes, why not buying a new one? 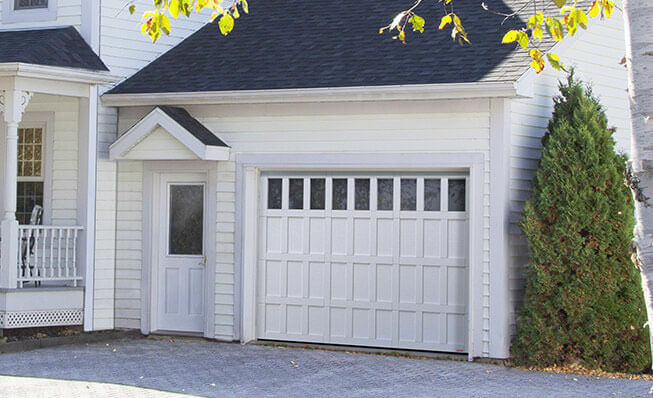 We have a garage door for every kind of house style, from contemporary to Craftsman. Visit our image gallery to see our designs. If your garage door is malfunctioning or if you have an emergency, you can give us a call at 717-767-1419 or complete our online service form. We offer a 24‑hours to assist you with your garage door problem. We are the specialist for a garage door repair service in Elizabethtown. The region we serve includes York, Hershey, Harrisburg, New Cumberland and more. Baker Door Company offers complete garage door installation, but also the service and maintenance you will need in the future. We carry a full inventory or parts and even add‑ons to give your doors a unique look. We are here for the whole life of the garage door system, and we can service any broken garage doors in Elizabethtown, as well as offering replacement panels, springs, opener repairs, and more. Because we want your home to be cozy during hot summers or very cold winters, we advise our customers to invest in an insulated Garaga garage door. The Standard+ Series is perfect to meet Elizabethtown homeowners’ needs. With its R‑16 insulation factor, 14 different door models, 10 different colors and the wide choice of decorative windows, you will find the perfect garage door to fit with your home‑style. The perfect companion to your premium garage door is a LiftMaster opener system. At Baker Door Company, we provide those superior products that can easily answer commercial, agricultural and residential settings. Think to our experienced technicians for your opener or garage door installation in Elizabethtown. Central Pennsylvania area including York, Hershey, Harrisburg, New Cumberland, Camp Hill and more.